There are so many whitening products in the market and I am sure that most of us are confused which are effective. Some tends to be on the pricy side, and some are affordable. Most of the time, whitening products claims that they whiten faster, and the more expensive, the more effective it is. While you want to stay on your budget and not compromise the quality, it is really hard to search for the best skin care product that works well. Knowing that I already have a fair skin, my friends will always comment "Why do you still need whitening products? Sobrang puti mo na!" Well, it's not just because I wanted to be whiter! I just want to feel fresh and clean. I have been seeing so many good reviews about this product so I gave it a try. 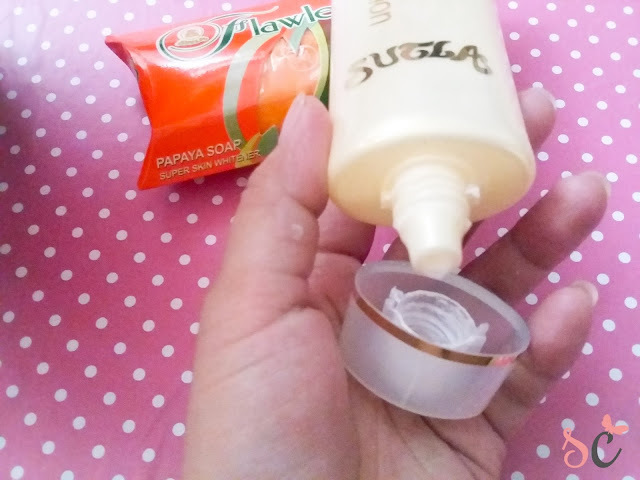 Behold, Sutla Flawless Soap and Lotion. Sutla is a local brand of bath and skin care products that have been around since the early 90’s. Be white and flawless in just 2 weeks without any derma treatments. This natural soap does it all for you. 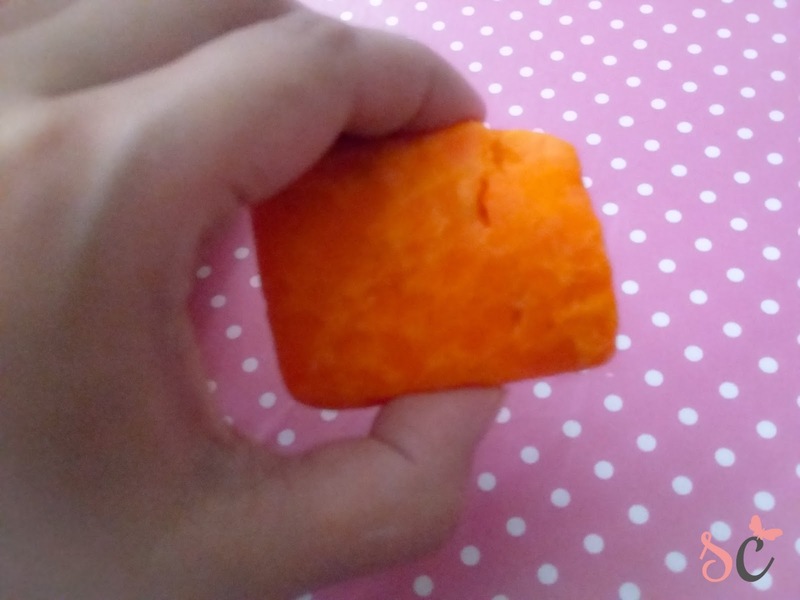 Its combination of ingredients including papaya, moringga, bengkoang, kojic, glutathione, collagen, vitamin E, and placenta gives you a power soap that works effectively to cleanse, moisturize, whiten, soften, and tighten the skin. This soap can be used as often as you wish for faster results. Vitamin E- It makes our skin glow and look younger. Made only with natural ingredients, this cold-processed soap contains no mercury, no hydroquinone, no animal fat, and no harmful chemicals. Oh-My-G! For a soap that is very affordable, how is it so fully loaded of essential nutrients that you need for your skin? The lightening lotion's tube has a bigger hole so it easily releases the product. This pea-sized amount of lotion can cover my hands and arms without getting sticky. 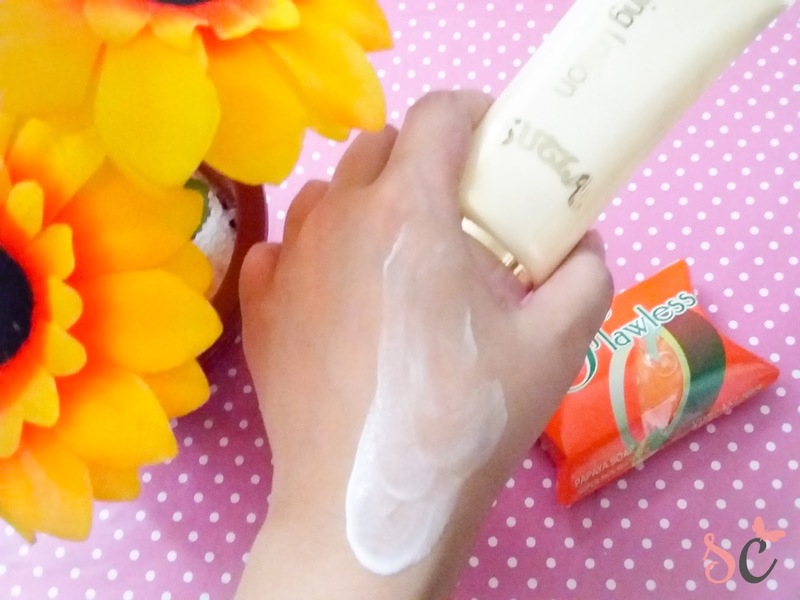 The lotion has a thick consistency and a sweet fruity scent. 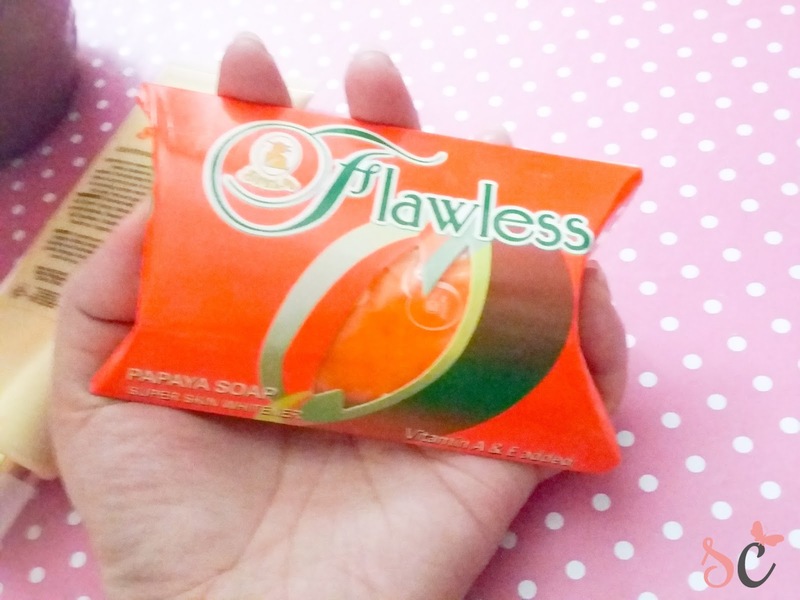 The Sutla Flawless soap is packed in a carton that resembles the Jollibee Peach Mango Pie! See that soap? It looks very organic. Behind the box of the soap, it is indicated that it is a natural and organic soap with six active ingredients that helps whiten in 2 weeks. I was about to try a different soap, but I find this one cheaper, so I ordered 5 pcs of it online, together with the lotion. You can clearly see that the soap is handmade and organic! It smells like a papaya, that is so sweet. I am using this for 3 weeks already and it does whiten and brighten my skin. (I hope there's a slimming soap that can make me slim in 3 weeks too! HAHA!). I easily noticed my whiter skin when I go outside. I wonder why I look so morena when I'm inside the house. I hate how natural light doesn't come in my room! That is why I only notice the effect when I'm outside. It stings a bit when you use too much of the soap, but that's when you know it's effective! I haven't tried it on my face yet, but I will update when I tried it already. It easily melts, so I'm already using my second bar. But I don't worry a lot since I still have stocks, and I know a very kind online seller who sells this, so I don't have to worry where to buy anymore. As for the lotion, I already consumed my tube so I might buy another one. I like its thick consistency and sweet papaya smell. I put it after taking a shower and before going to bed. I have read a review online that putting lotions before bedtime is more effective since it is easily absorbed by the skin. Repurchase? YES! Of course. Totally changing my soap brand for this. 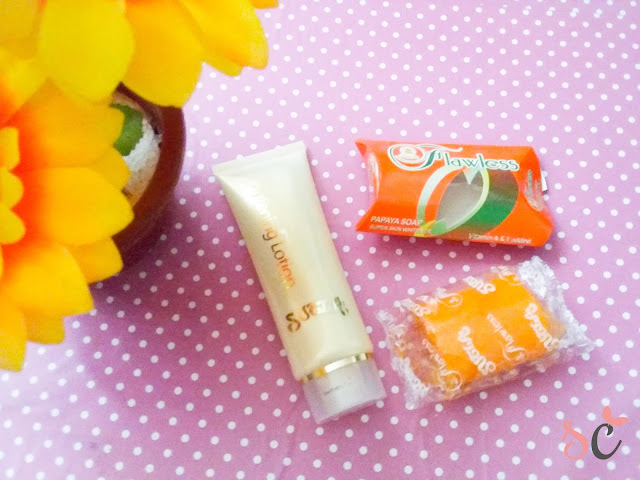 "BE WHITER , THE SAFEST WAY"
Looking for an effective whitening soap with a pocket-friendly price? This is what you are looking for. 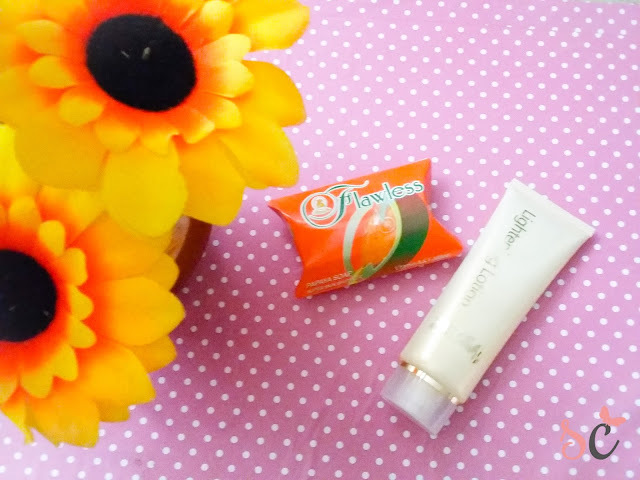 Try out these Sutla Flawless Soaps and see the difference. It's very effective for an affordable price. Check out the different varieties.